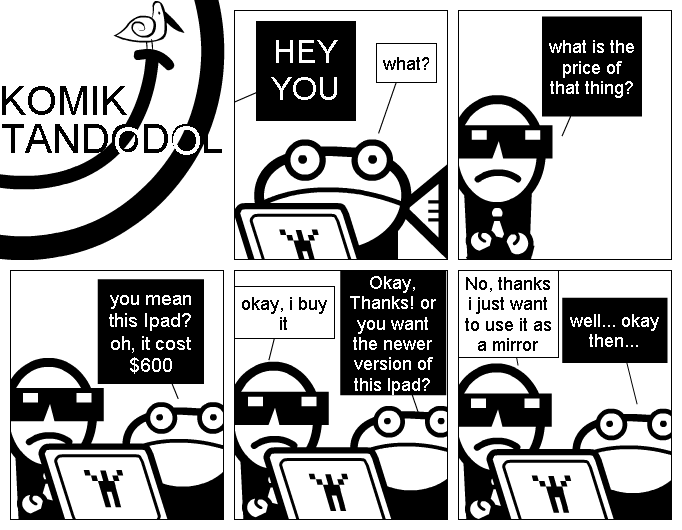 KOMIK TANDODOL O O HEY YOU what? what is the price of that thing? you mean this Ipad? oh, it cost $600 well... okay then... okay, i buy it No, thanks. i just want to use it as a mirror Okay, Thanks! or you want the newer version of this Ipad?